Raise awareness, drive demand, and boost sales! Drag Import News was founded in mid 2016, with the mission of bringing the Import drag racing fans a more in depth look at the sport. The quality of our content and our audience’s connection sets us apart from any other Import media outlet in the scene, we are much more than just an event coverage outlet. Our website has the unique ability to reach a wider audience of readers within the sport’s fans. Most companies would agree customer service is the key in any business, when in fact marketing is as important to a business success as customer service. A business can give top notch service, but if they don’t reach their targeted clients, it’s bound to stop growing and expanding their customer base. In today’s social media world, most small businesses rely only on their Facebook and Instagram pages as their main source of marketing, when in fact marketing is much more than that. 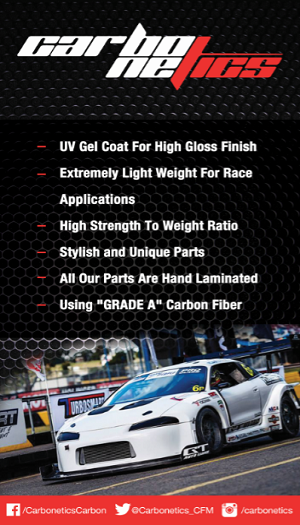 Advertising on Drag Import News’ website is the best way for your business to build a connection with the Import racers worldwide, and potentially expand your customer base beyond your local customers and occasional event vendor midway and trade show clients. Our advertisers are not just a banner space on our website, they are partners in our mission of keeping the sport alive and growing every day. Visibility: Drag Import News is the most read online source in the scene. Our readers will have a direct link to your website. More Customers: More traffic = more customers. Utilizing the full power of our website, we will substantially increase the traffic to your “brick and mortar” business and your website. Package and Rates: We have a variety of packages and rates to fit your business needs.